Dalt was born and raised in Vallejo, CA where his music education began (trumpet and tuba). After high school he enlisted in the U.S. Army as a bandsman where he became interested in the acoustic bass. 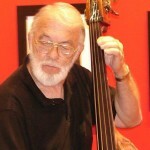 He first studied bass with Jack Weeks (Cal Tjader and Dave Brubeck). While serving in Korea with the U.S. 8th Army Band he performed with drummer Ed Thigpen (Oscar Peterson Trio), guitarist Rod Lewis (Anita O’Day), and pianist Dave Hildinger. Dalt is a graduate of San Francisco State University where he studied bass with Charles Siani (San Francisco Symphony) and earned a degree in Music Education. 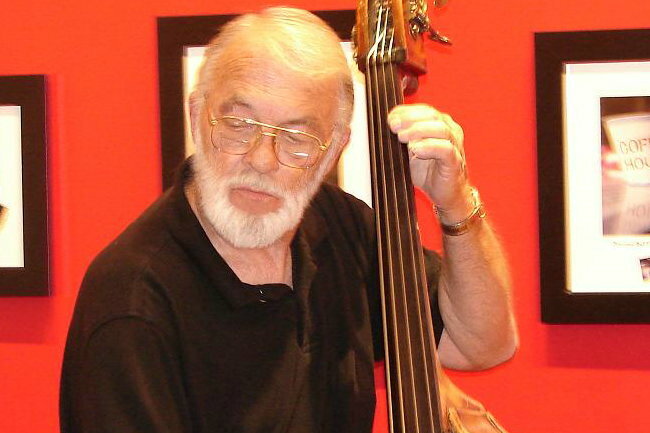 While in San Francisco he performed with Vince Guaraldi, Dave Van Kriedt, Eddie Peabody, Calvin Keys, the Rudy Salvini Big Band, the Al Trobbe Trio, and as a sideman with numerous other groups. During his 35 year teaching career Dalt started the music program at Travis AFB (Vanden High School) and later moved to Benicia High School. At Benicia he developed an award winning program in Jazz Band, Symphonic Band, and Vocal Jazz. In 1994 he was voted Benicia’s Teacher of the Year. In 1995 he was awarded the Outstanding Music Educator Award from the CMEA Bay Section. Dalt is a member of the International Jazz Educators Association, American Federation of Musicians, California Music Educators Association, and the Northern California Band Association. After being discharged from the 6th Army Band at the Presido, San Francisco, CA., in 1954, Van Hughes joined the Rudy Salvini Big Band and recorded with that band. He has toured with the Woody Herman Band, played with the Louie Bellson Band (featuring Tony Bennett), and the Thad Jones-Mel Lewis Band. He has played with bands backing Frank Sinatra, Peggy Lee, Nancy Wilson, Marvin Gaye, Issac Hayes, and many more. He recorded with Duke Ellington at Grace Cathedral. Van now resides in the Bay Area and is now a freelance musician and private trombone teacher. Yes, wonderful meeting you, and listening to your band’s terrific jazz that July day for our benefit– it added something that was really perfectly suited to the afternoon (and to our tastes, by the way). Thank you for visiting the JFAO site. Let’s get started right away with a video. Below are a variety of our engagements including Rutherford Ranch Winery, Sticky Rice Chinese Bistro and Bar, the Sardine Can Restaurant, other venues and the JFAO Quintet and vocalist Marcella Hooks at Sausalito’s “Jazz By The Bay” event.